Maragondon is a 3rd-class municipality situated in the province of Cavite, Philippines. 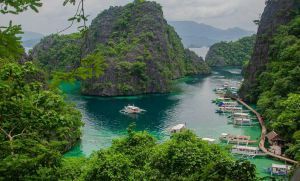 Not too far away from the capital, Metro Manila, it is a town that is full of wonders, some of which are unspoiled that not many people know about. Now, let us know the reasons why this place is deemed as “the town that has it all”. Standing at 2,041 feet tall, this is the highest mountain in Cavite. Its name was derived from its monolith that resembles a beak of a parrot beak. Now, if you love taking on adventures, you can easily challenge yourself by taking a day of trekking to its summit, which involves a vertical assault to the top. This house, which is currently owned by Jose Angeles, is a typical “bahay na bato” or a house made of stone that was constructed in 1889. It served as the venue for the trial of brothers Andres and Procopio Bonifacio in 1897. While it has seen changes over its life, it was fully restored by the Estrada administration in 1999, and now, it is a public museum that is open to visitors every day. It is now under the management and care of the National Historical Institute. This old church dates back 382 years ago and was recently declared as a historical and cultural site by the National Museum. The building is one of its kind in the province and is known for its complex retablos (devotional paintings) that are located at the main altar. Another favorite unique feature of the church is its doors that are impressive with their carvings. This church houses the tombstones of famous town parishioners, including those of Don Vicente Somoza and Father Cenon Villafranca. It was also here where the Bonifacio brothers where temporary detained. It has become very popular that it has graced numerous books about church art, especially those written by the prominent church art scholar, Regalado Trota Jose. Like any other town in the Philippines, Maragondon also celebrates its own festivals, with the most popular being the Kawayan Festival. During this event, you will see a group of street dancers parading in indigenous materials and an exhibit of bamboo (kawayan) products in the town plaza. As for the food, you will find great delicacies that the province is known for, such as the quesillo or white cheese, lumpia and the sweet bibingkoy (rice cake). 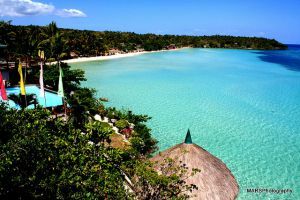 Gifted with many natural and man-made attractions, Maragondon offers a lot of activities for any kind of tourists. These include exploring historical sites, such as ancestral houses and memorials, and climbing its beautiful mountain peaks. From Manila, you can take the bus from Southwest Integrated Terminal and look for the sign of Maragondon, Naic or Ternate routes via the Cavite Expressway. If you are driving your own vehicle, you can take the route of the Cavite Coastal Road, take the right turn to the Cavite Toll Expressway, head straight to the Kalayaan Diversion Road and Antero Soriano Highway, and finally straight to the Governor’s Drive to Maragondon.